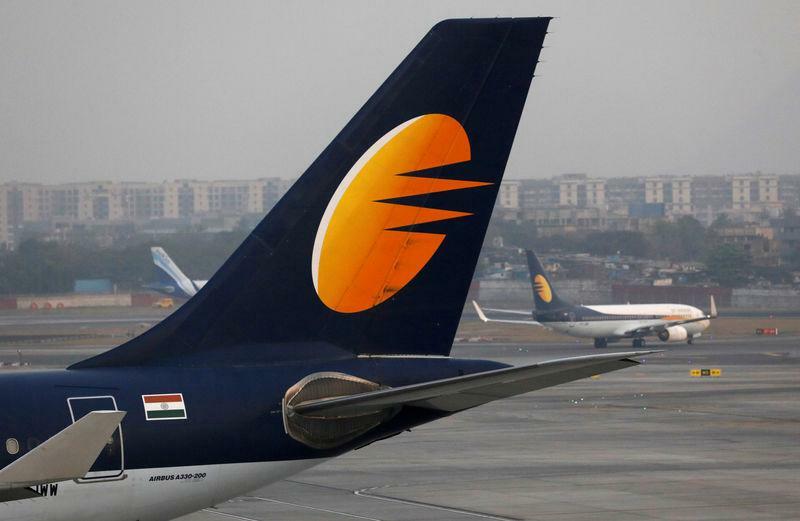 BENGALURU (Reuters) - Shares in India's Jet Airways Ltd (JET.NS) jumped 25 percent on Thursday following media reports that the debt-laden airline was nearing a rescue deal with Indian conglomerate Tata Sons Ltd [TATAS.UL]. As part of the deal, Singapore Airlines would also buy out Jet founder Naresh Goyal's 51 percent stake, the report said. A deal with Jet would transform Tata, India's largest conglomerate, from a fringe player in the airline industry into the country's dominant, international carrier. Tata Sons, the holding company of the salt-to-software conglomerate, is also in talks with New Delhi about a potential forgoing of part of the debt Jet owes to the country's state-run banks, Bloomberg added. Jet posted its third consecutive quarterly loss on Monday and said it was undertaking a review of its business to cut costs and boost revenues in order to stay afloat. The airline is seeking funds by raising equity and selling a stake in its loyalty programme. The carrier's survival is crucial for the host of companies from which it leases more than 100 of its aeroplanes. The airline also has 225 Boeing Co (BA.N) 737 MAX jets on order.